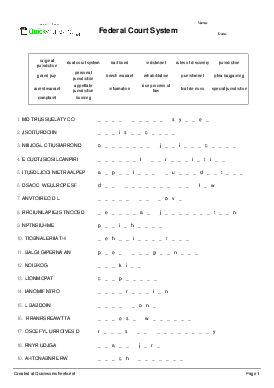 Instructions: Find the words lmao. 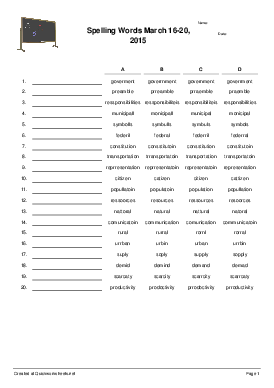 Instructions: Use the words in the box to help you figure out the correct spelling in the columns below. 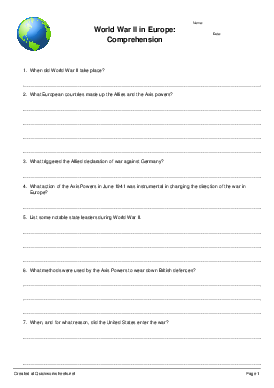 This worksheet was created by John Bower. Head of Faculty Social Sciences at McAuley High School, Otahuhu, Auckland, New Zealand, 2018. 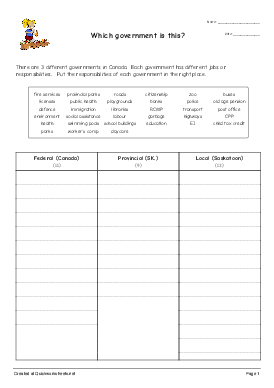 This worksheet can be used for any social studies topic on systems of government. 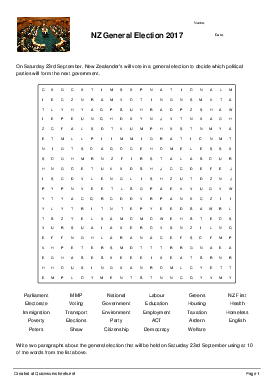 It relates to the following Social Studies achievement objectives from the New Zealand Curriculum, Level 5: Understand how systems of government in New Zealand operate and affect people’s lives and how they compare with another system. 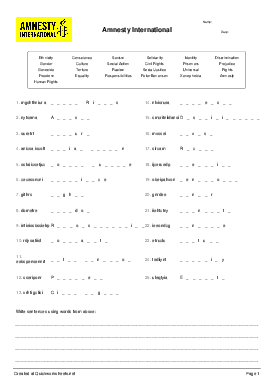 This cloze worksheet was created by John Bower. Head of Faculty Social Sciences at McAuley High School, Otahuhu, Auckland, New Zealand, 2018. 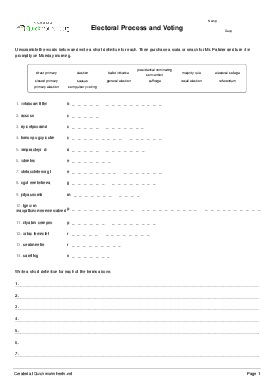 This worksheet can be used for any social studies topic on systems of government. 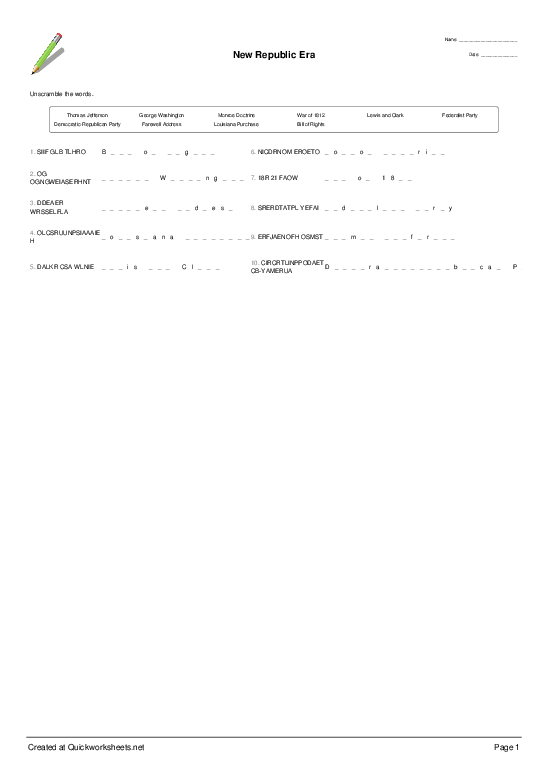 It relates to the following Social Studies achievement objectives from the New Zealand Curriculum, Level 5: Understand how systems of government in New Zealand operate and affect people’s lives and how they compare with another system. 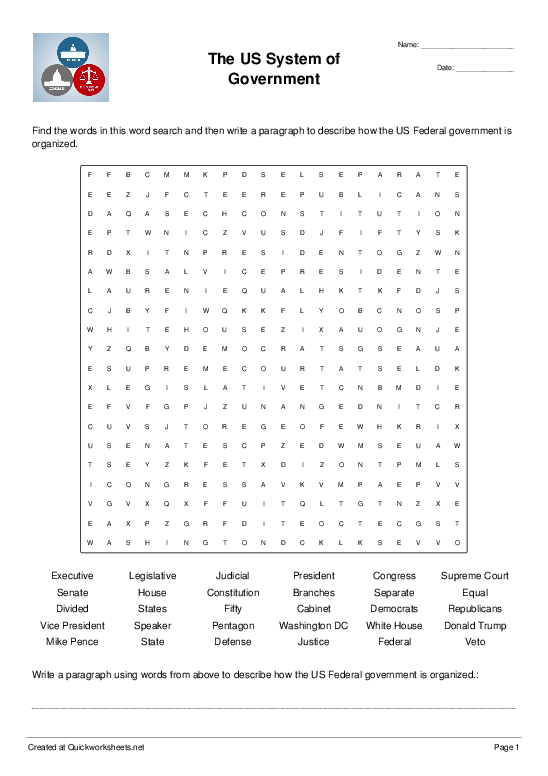 Instructions: Find the words in this word search and then write a paragraph to describe how the US Federal government is organized. Grammar practice. 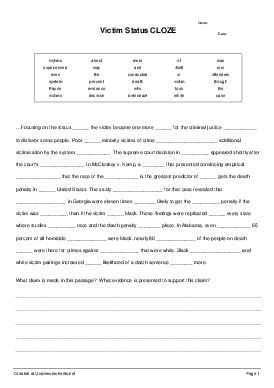 This is an exercise to choose the correct word in a text. 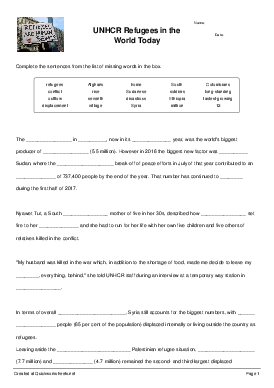 Once the exercise is reviewed with the teacher the students are instructed to rewrite the passage on the lines provided to learn the correct format for paragraphing. 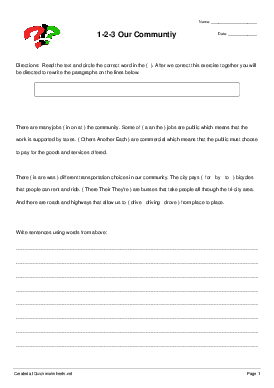 Students must indent each paragraph. Instructions: Directions: Sort the following vocabulary words by identifying if the word is for something public, commercial. 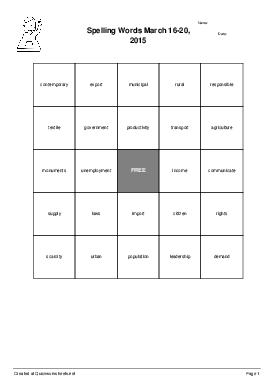 Vocabulary review: is it public or commercial? 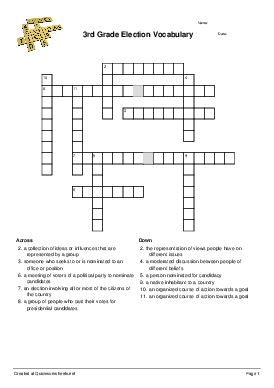 Civics & Citizenship Study Guide Word Scramble- AM Int. 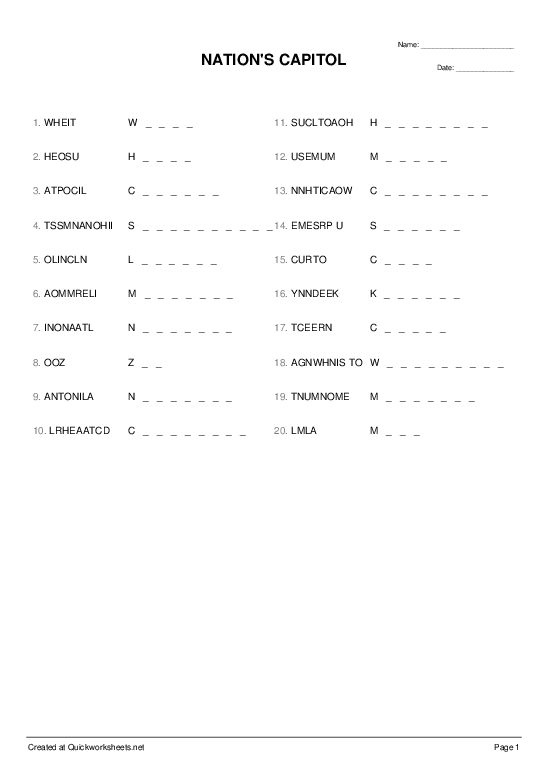 Instructions: Unscramble the vocabulary words below. 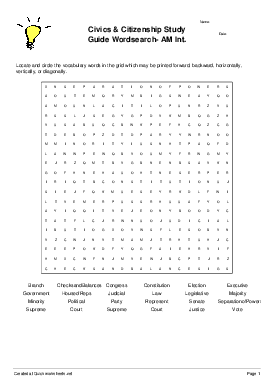 Civics & Citizenship Study Guide Wordsearch- AM Int. 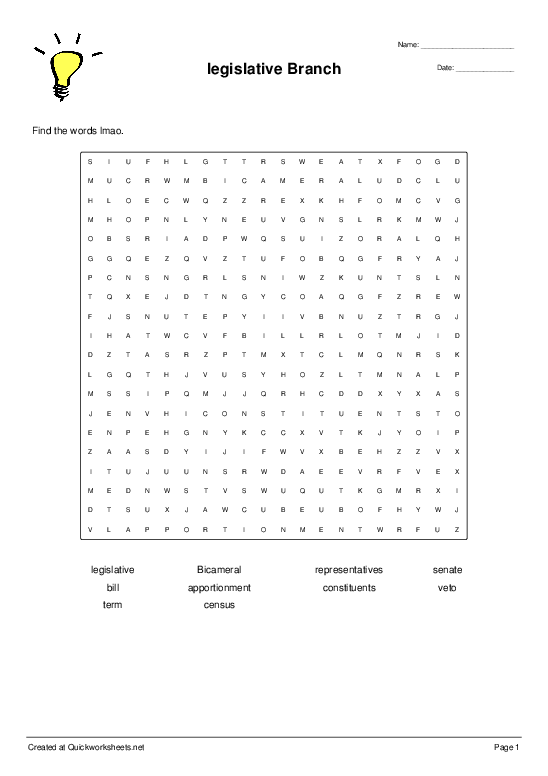 Instructions: Locate and circle the vocabulary words in the grid which may be printed forward, backward, horizontally, vertically, or diagonally. 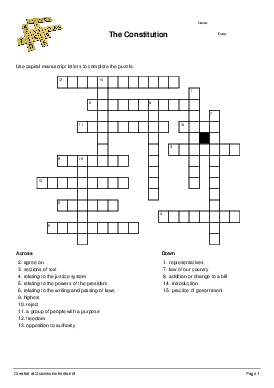 Civics & Citizenship Study Guide Crossword Puzzle- AM Int. 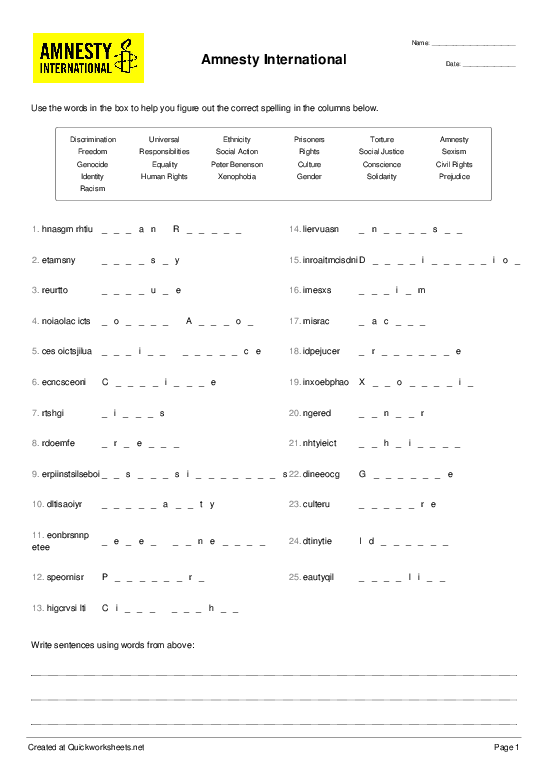 Civics & Citizenship Study Guide Word Scramble- PM Int./Adv. 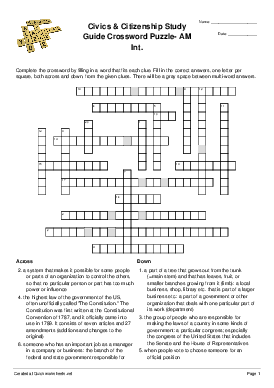 Civics & Citizenship Study Guide Crossword Puzzle- PM Int./Adv. Instructions: Directions: Read the clues. 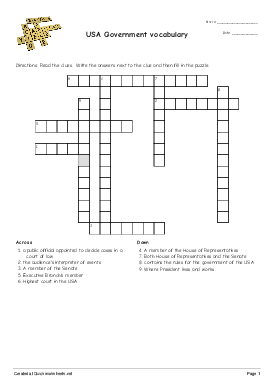 Write the answers next to the clue and then fill in the puzzle. Instructions: Unscramble the words below and write a short definition for each. Then purchase a soda or snack for Mr. Palmer and turn it in promptly on Monday morning. 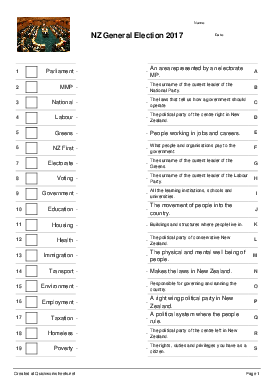 Instructions: On Saturday 23rd September, New Zealander's will vote in a general election to decide which political parties will form the next government. 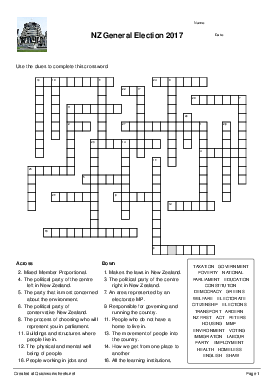 Instructions: Use the clues to complete this crossword. 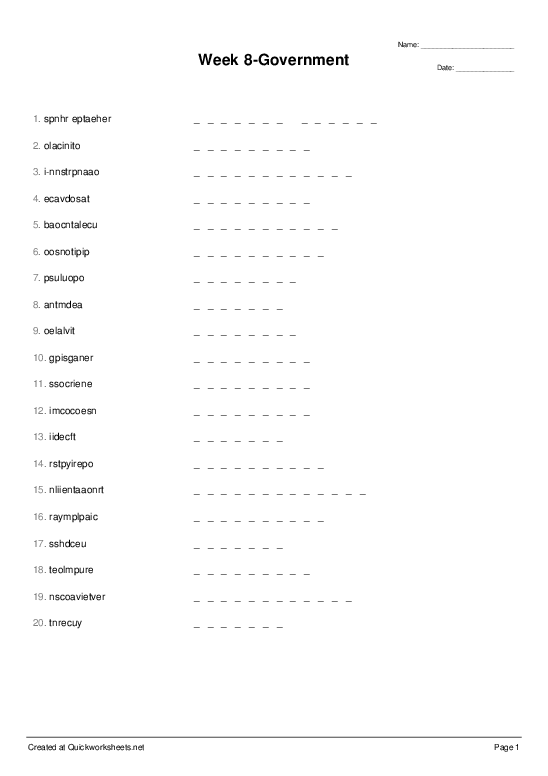 Instructions: Complete the sentences from the list of missing words in the box. 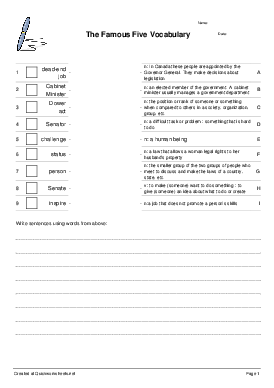 This cloze worksheet on refugees has been created by John Bower, HOD of Social Sciences at McAuley High School. Otahuhu, Auckland New Zealand. 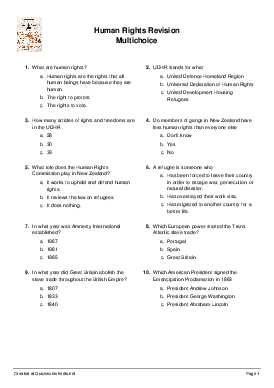 This worksheet can be used for any topic on human rights, It has been created for the Level Five Achievement Objective (Understand how people define and seek human rights) of the New Zealand Curriculum. 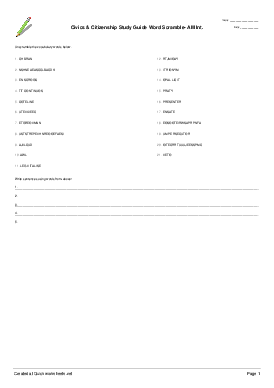 Please feel free to use this resource. Best regards. 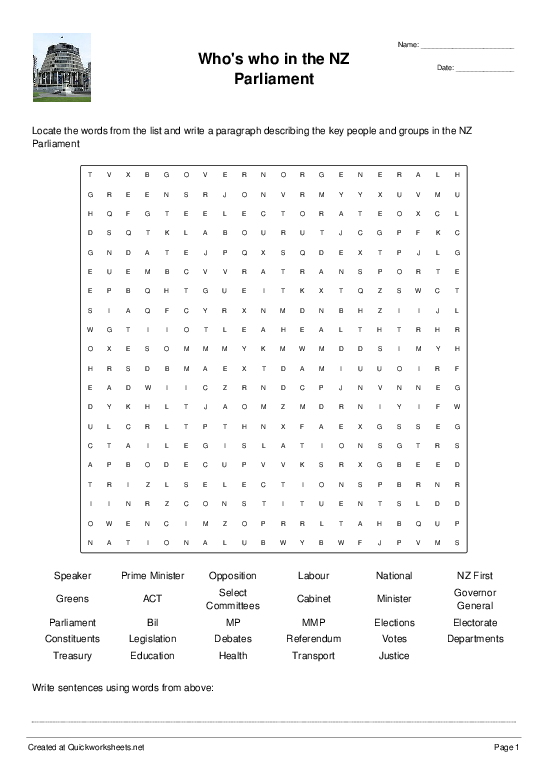 This worksheet was created by John Bower, HOD of Social Sciences at McAuley High School, Auckland, New Zealand. Date, Monday 28 August 2017. 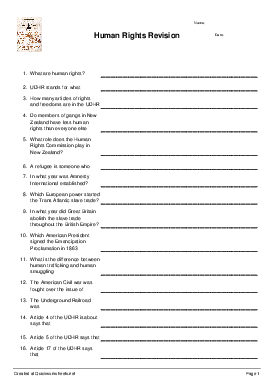 This worksheet can be used for any topic looking at human rights in general and Amnesty International, in particular. Please feel free to use and adapt. Best Regards. Some Vocabulary from the book: The Famous Five (definitions from the book and from Learner's Dictionary). Instructions: There are 3 different governments in Canada. Each government has different jobs or responsibilities. Put the responsibilities of each government in the right place. 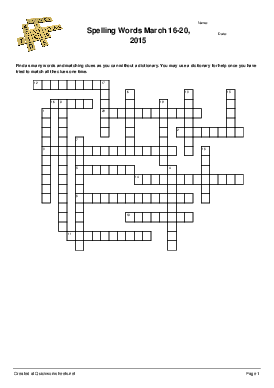 Instructions: Use capital manuscript letters to complete the puzzle. 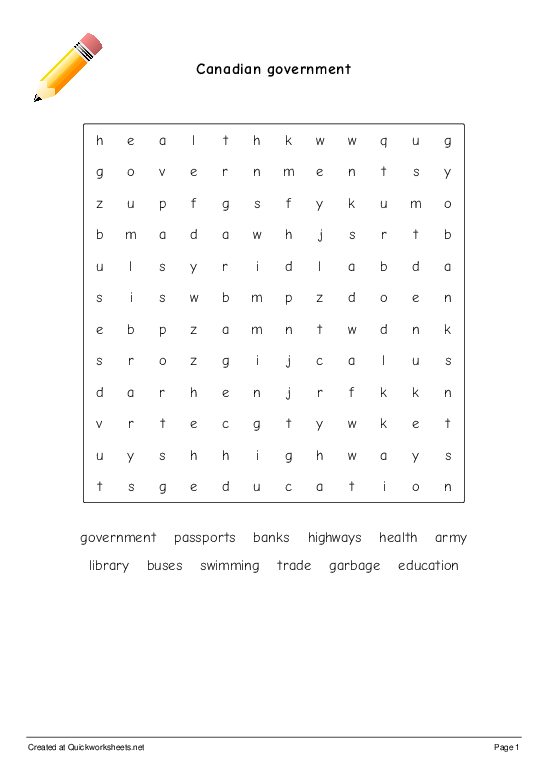 Instructions: Find as many words and matching clues as you can without a dictionary. You may use a dictionary for help once you have tried to match all the clues one time. 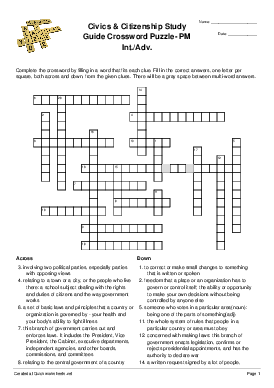 Instructions: Complete Word Scramble. 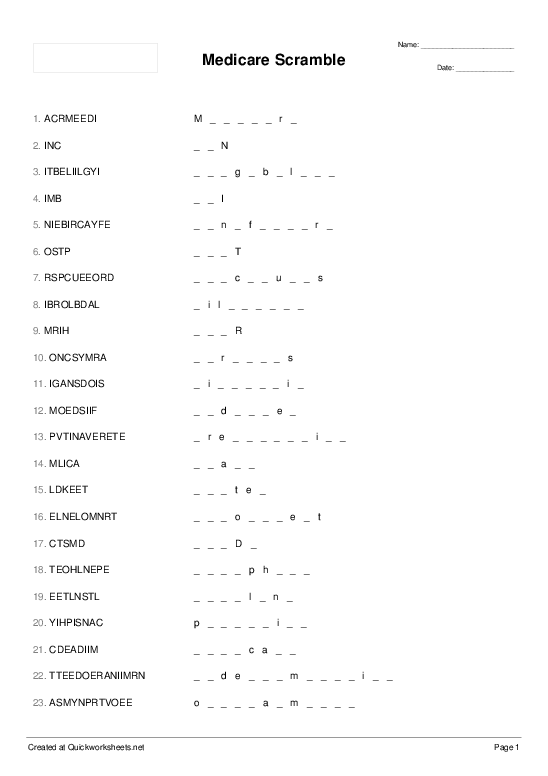 Look over the word bank and begin scrambling!